It's not just the prominence of applications today and their contribution towards the corporate bottom line that is fueling the restructuring of IT. Applications today behave differently and are developed differently. They are highly virtualized and distributed and the development process today is about rapid and continuous delivery. As a result, communication needs within the data center are shifting, resulting in a transformation of data center design and scale, as well as infrastructure management, provisioning, and consumption. Simplifying and speeding up the development process is now critical. All of this needs to be done without compromising scalability or security, of course. Open. Yes, Cisco made it open—open sources, open API’s, open ecosystems—enabling customer choice versus vendor lock-in. Automation. Cisco ACI combined with Cisco Unified Computing System reduces deployment time to minutes, resulting in a 58% reduction in deployment costs. Security. One wouldn’t necessarily equate such an open system as being secure, yet Cisco ACI has taken security to the next level with next generation intrusion and malware protection. 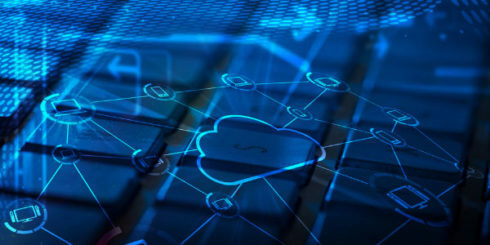 Having the ability to automate deployments on such a grand scale would normally introduce security concerns, but endpoints are provisioned in a default block state until policy allows them connectivity. Simplicity. The whole premise of ACI is to bring all of your resources into one basket, which has the potential of vastly complicating the troubleshooting process. Instead, ACI simplifies it by offering IT support total visibility across all of your physical and virtual environments. Hardware-based gateways. Though ACI is an SDN solution, the leaf switch gateways that it commandeers are physical, which delivers faster performance than alternative solutions that depend on software gateways. So just how does Cisco ACI accomplish this evolutionary approach to the transformation of an organization’s IT operating model in order to support future cloud and DevOps deployments? There are actually three suggested operating models for an IT department using ACI to achieve these associated organizational impact and benefits. In this scenario, customers deploy ACI fabric as their next-generation data center network to enable a 10- and 40-Gbps access and aggregation network. The network is optimized for east-west data center traffic to support virtualized, dynamic environments as well as non-virtualized workloads. This mode of ACI deployment doesn’t involve any changes to the IT organization structure or processes. It does not require new roles other than incremental training on ACI technology innovations for the network engineering and operations teams. This operating model for an IT department with ACI is suited for customers who want to automate their network provisioning for specific use cases such as complex enterprise applications or big data without significantly changing their operating model for IT. Any necessary organizational changes are minimal and doesn’t require changes to organization structures or the addition of new roles. This operating model for an IT department with ACI is targeted at customer use cases such as private clouds and DevOps in which a high degree of integrated automation multiple datacenter silos is required. IT can offer self-service provisioning on demand for end users to consume ACI resources that reside on the private cloud through a simple portal. Of course ACI is a lot more than just three operating models that will shift your enterprise networking strategy. It’s a highly flexible, policy-based networking solution to help make your IT infrastructure and operations as agile and responsive as the business demands. To learn more about Cisco ACI and WEI’s experience implementing ACI and other SDN solutions, contact us here.